When the time comes to choose the first name of a baby, the task may turn out to be long and somewhat arduous. The first name is part of the baby’s identity and will also reflect their personality. That is why many parents, when choosing a first name, take a closer look at its origins and also at its meaning. Thanks to numerology, it is possible to know the meaning of the first name as well as its influence on the child’s character. What personality lies behind the meaning of the child’s first name? It’s not impossible to know the future personality or character traits of your future baby. Numerology enables us to discover the meaning of their first name and thereby unveil the child’s character. Yes indeed, using the letters of the child’s first name, the active number can be found through a numerological calculation. By the way, this has already been discussed in the article about name numerology. You just have to add up the letters of the child’s first name using the table below. Each letter corresponds to a number. Baby Matthew’s active number is 9. Baby Emily’s active number is 1. What does the child’s first name mean in numerology? Whether it is rare or popular, masculine or feminine, a baby’s first name always has a meaning. Whatever its origin or etymology may be, Numerology enables us to apprehend the child’s future character. In fact, the active number unveils part of an individual’s personality through the prism of numerology. It brings our behaviors, our relations with others and our personal potential in the social and professional environment to light. It explores the personality using the first name as basis. Of course, the active number can not only be calculated for children but also for adults. However, it is more interesting to calculate it when you are in the process of choosing your baby’s first name. But, if it has already been found or if your child already has a first name, it is possible to explore the meaning of this first name and the character traits that are related to it, through this numerological calculation. In parallel, you can know the life path of your child for free. 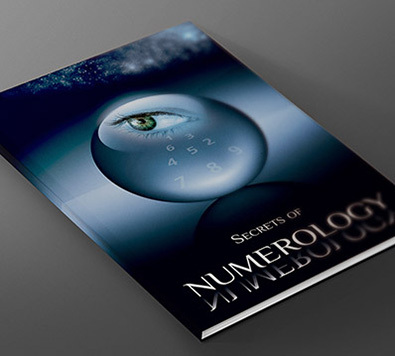 To that end, I invite you to consult my article about astral numerology. If you are interested in numerology, go to the page dedicated to the numerology of first names. Using the first and last names of your baby, you will be able to calculate their soul urge number, their personal number or even their expression number, for instance. And it will be free! What is Tibetan Karmic Numeorology? The Hanged Man Tarot Card, favorable or not? What is a psychic reader? I won 4000 on Bingo 3 weeks ago! Thanks Maria!